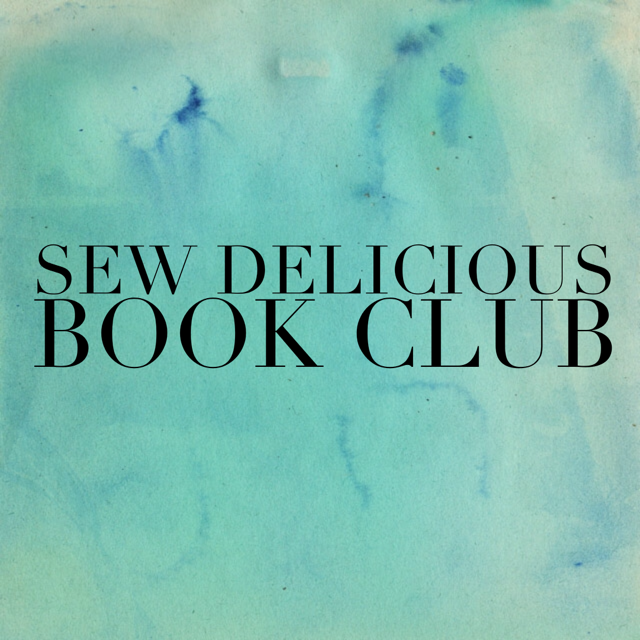 Book club is here for another month! As usual, before review The Cuckoo’s Calling, here is next month’s title…. I’ll be honest – I know NOTHING about this book. For some reason I have it on my Goodreads “Want to Read” list. It has excellent reviews on Amazon but I ignored them – I’d like to go in blind with this one. Sometimes it’s great to pick up a book with no expectations or preconceived ideas, so I hope you’ll jump in with me and give it a try! Now onto the review – spoilers below. I chose this one after reading about it online after Robert Galbraith was revealed to be a pen name for JK Rowling (who I admire greatly). I also haven’t read many murder mysteries lately and was keen to try something that had the potential for me to enjoy more books following it, as it is book one of a series – there are three books so far. I enjoyed the contemporary setting in present day London. Sometimes in murder mysteries I feel a disconnect in time even if the story is meant to be present day. I loved the character of Robin but I felt like I didn’t get to know her well. That is a reason I’m looking forward to the next two book. I didn’t really see the twist coming, even though it the murderer’s identity was probably obvious to heaps of other readers. 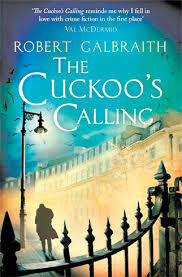 The story of Lula and her fame and struggles with the press and paparazzi was well written and something JK Rowling would know a fair bit about so I enjoyed that aspect of the novel. Cormoran himself was a bit grumpy and it took me a while to warm to him, but I really liked him by the end of the book. He did frustrate me a lot with his withholding of personal information but the more his back story was revealed the more it made sense. Even though there were some heavy themes within the story, I never felt like this book was too much of a challenging read. I do like murder mysteries to be fairly light and easy. Not too gruesome – nothing that would keep me awake at night! I liked that there was a large number of possible suspects – the boyfriend, the security guard, the driver, the neighbour, the men on the CCTV footage, the uncle. It kept me guessing. Overall – I enjoyed it immensely and will definitely read the next books in the series. What did you think of it? Did you see my 2016 reading challenge – 52 books in 52 weeks? Check it out – maybe you might want to join in! My surname is very unusual. VERY. I mean, the only other Fanthorpes I’ve met have been family. So I almost jumped out of my skin to see the character named Lindsey Fanthrope on page 95! She spelled it wrong, but I’ll forgive her for that. Enough about me, now onto the story. I liked this book…. right up until the end, where it suddenly got very boring. I hated the way Strike neatly collated all the clues into one convenient story narrated to the murderer. I was DESPERATE for there to be a twist after this speech and for it to turn out that he was wrong! It just all seemed so cliched. And I still can’t work out why on earth Bristow would have hired Strike in the first place? I know it was touched on, but it felt like a lazy explanation. When a character has an accent Rowling tends to write their speech phonetically, which I find somewhat annoying. She did the same thing in A Casual Vacancy, and I recall my irritation then too. Perhaps it’s distracting – I find myself thinking about how they sound, rather than taking in what they’re actually saying. Or perhaps it’s because it’s usually her down-at-heel characters that she writes with accents, and it’s potential social profiling that’s pricking my conscience. But nonetheless, I did enjoy this book, and I didn’t want to put it down. I particularly appreciated the absence of sexual tension between Strike and Robin – it’s so refreshing to have two characters who are allowed to have a platonic relationship. There were moments where I feared it was about to stray into something else, but I think (hope) that the author intends for these two to be good friends, and I’m pretty happy about that. Like Ros, I’ll be reading the next book because of these two characters. Finally, Rowling is excellent for expanding your vocabulary! I haven’t consulted my Kindle dictionary this much since I read Stephen Fry! Yes she is very verbose in her writing, I really enjoy that! Ha Stephen Fry, I know what you mean, I actually really struggle with his books, they make me feel out of my depth. I adore him though. I never read the Casual Vacancy (the premise sounded so boring to me and so many people said it was a hard slog read) so I’ve not noticed the phonetic accents. Yeah the ending was a bit like “oh. That’s it?” and it came about in a hell of a hurry given that she took so much time with the everything before it. I also enjoyed the platonic relationship between Robin & Cormoran and I look forward to seeing what they get up to next. I’ve also been reading the Inspector Gamache series by Louise Penny (currently reading book 3). 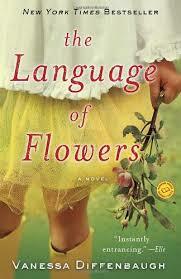 Really great – set in a small town just outside Quebec in Canada. If you like murder mysteries and the idea of having a nice long series stretching ahead for future reading, give these a go! For this book I actually downloaded the audio version since I would be travelling a lot up until July and this is the only way I can squeeze everything in (as reading is becoming limited with my hectic schedule). I was a bit weary at first as it seemed to take a forever to get into the story but I am glad I did persist on continuing to listen because then I started guessing at every step who may have more means to murder Luna Landry but was surprised to find at the end that it was her adoptive brother and how he had down this on more than one occasion for his own selfish reason. I did question also why did John Bristow hire Stike to find out the truth when he new along what had actually happen when Strike finally revealed the real murder and his motive behind it. I will admit upfront that I was unaware that JK Rowling was the original author and used a pen name had I known this I’m not sure that I would have continue listening. Don’t get me wrong enjoyed her Harry Potter series but had a real hard time trying to read The Casual Vacancy after reading her Harry Potter books The Casual Vacancy was so extreme I really couldn’t get into it and had to eventually abandon the book not sure if I will ever pick the book up again and continue, as I wince at the thought of it. While listening to this book I loved how the reader was able to transport you into the novel I could image the characters and the places they were at and even at times got very frustrated with Strike and Robin. My favourite character was Guy Some’ (pronunced Gee Sommay) and his whole mannerism just loved him and the reader portrayed him well. In the end enjoyed the book that I have downloaded her other 2 books to listen to as I sew or travel and next on my list will be your next recommendation. I really enjoyed the book and am pleased there are another 2 to follow it. I’ve had it on my bookshelf for ages, along with Casual Vacancy, which I also haven’t read but I watched the TV adaptation which put me off as it’s a bit depressing.